RHYS BOWEN: I've had a hectic couple of weeks. First we had to shut up the condo in Arizona and drive back to California (doing a three day book signing swing in Southern California along the way). Then I had book signing events in the Bay Area and have been doing tax. 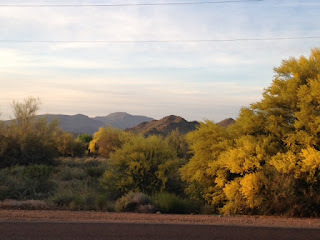 And I look out of my window and it has been gray and raining and I realize I MISS THE DESERT! It's strange that one who was born and raised in gloomy England should feel any affinity for the Arizona desert. But I rather think I was born with some kind of genetic need for sunshine. It was why I escaped from England to Australia in the first place. I had been standing at a bus stop with rain dripping down my neck and when the bus arrived it was full and I had to wait for the next one. And I went straight home and wrote to contacts in Australia. The result was being offered a job by Australian Broadcasting. I hopped on a plane and the rest is history. I can understand why I like the mountains in Arizona. It is my Welsh ancestry that draws me to mountains and always has. The first time I was taken to Wales I must have been six or seven. I stood staring up at the mountain outside the window and I remember thinking "Yes. This is it. This is how it should be." But I'm also wondering which of my ancestors decided that sunshine was a good thing? My naughty French great grandmother, maybe? I never knew which part of France she came from, but maybe it was the south? 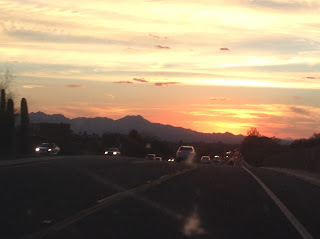 Anyway, I took one look at the mountains around Phoenix and Scottsdale and I thought WOW! And I still think that after eight years of spending my winters there. I drive out into the desert and stand in awe, staring up at the saguaro cactus. And the tiny birds that make their nests in it. And the way it all blossoms in the spring. And when you stand on a high trail and look out at line after line of purple mountains and feel as if you are in the middle of a private world. I'm getting nostalgia as I write, even though I love being back in Marin County, which is also beautiful and mountainous. Dreaming of the desert on a gloomy day. And I'm curious to know, dear Reds and Readers: Have you ever arrived in a strange place and thought "Yes, this is it. Where I am meant to be," the moment you got there? How do you explain it? Past lives? Oh, Rhys. 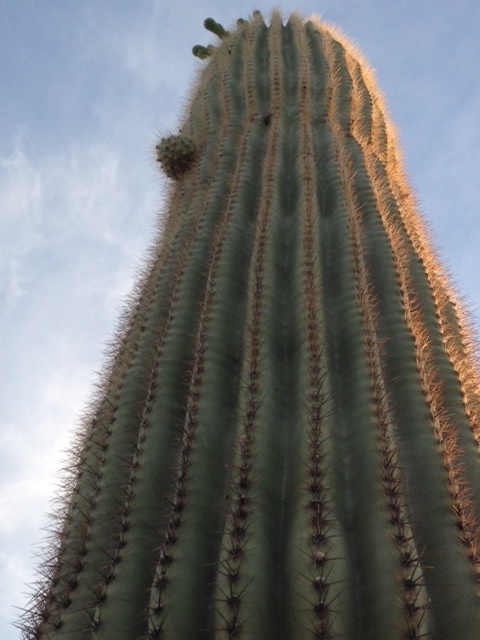 It's the same place for me - Arizona. I've lived in Ohio, Washington, D.C., Florida (for 18 years), Arizona and Indiana. It's Arizona that calls to me. Is your family tree similar to JK Rowling's? Her great grandfather was French. Great essay! I loved Wales when I was there.